Mr Yong Kian Fatt, 56, said: "It wouldn't have too much impact on my family. My wife and I are still working. 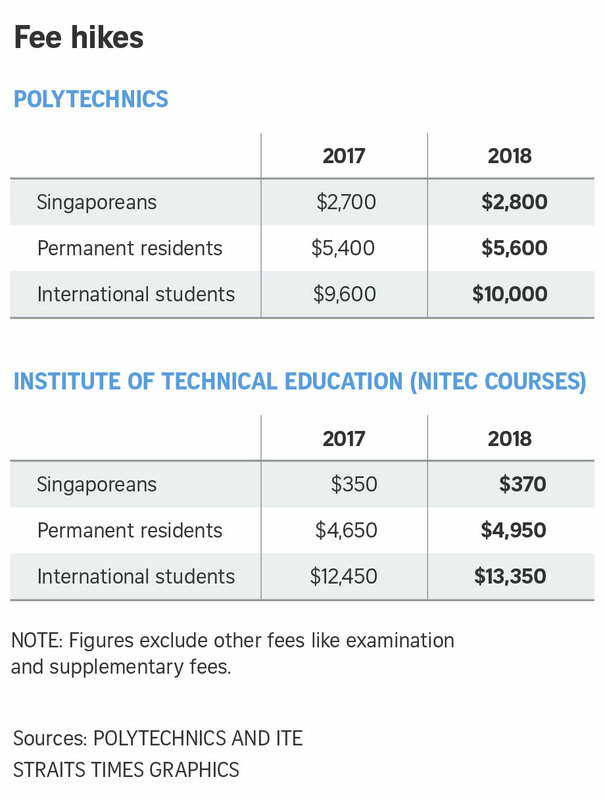 The fees are heavily subsidised compared with what foreign students pay." The manager in facility management, who has a son in Secondary 4, added: "I believe the Government and self-help groups will provide bursaries, especially for needy families." 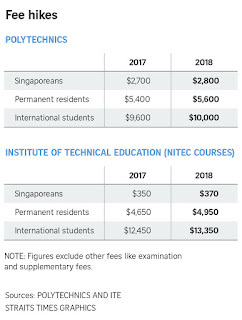 Madam June Tan, who has a Secondary 4 daughter, said: "A $100 increase is still manageable... but the price of everything keeps going up - textbooks, transport, food - so we have to work harder." The 45-year-old, who runs an online clothing business, started being a GrabHitch driver this year to earn extra income. Secondary 4 student Charlotte Lee, 16, who wants to study marine science and aquaculture at Republic Polytechnic next year, said the rise is "rather okay". "But cumulatively, it can be a lot of money (for poorer families)," she said. "I'd still choose to go to a polytechnic because it is more hands-on. I think I'll do better in such a learning environment."